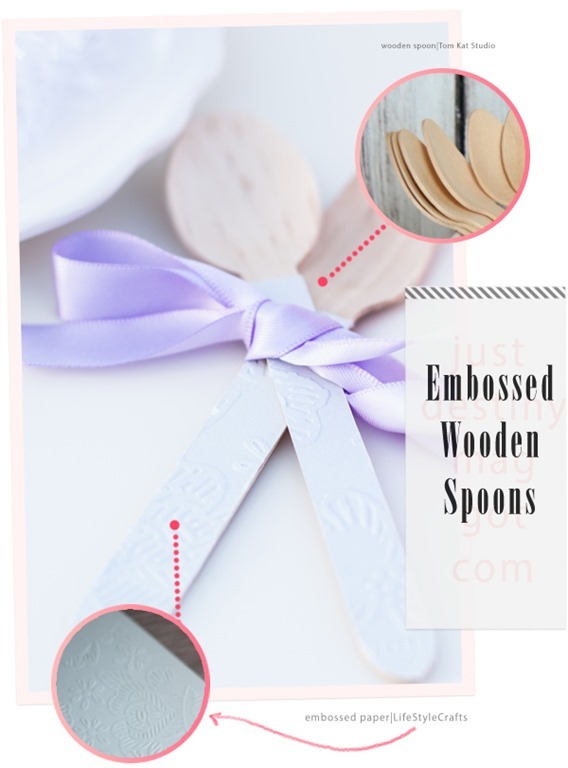 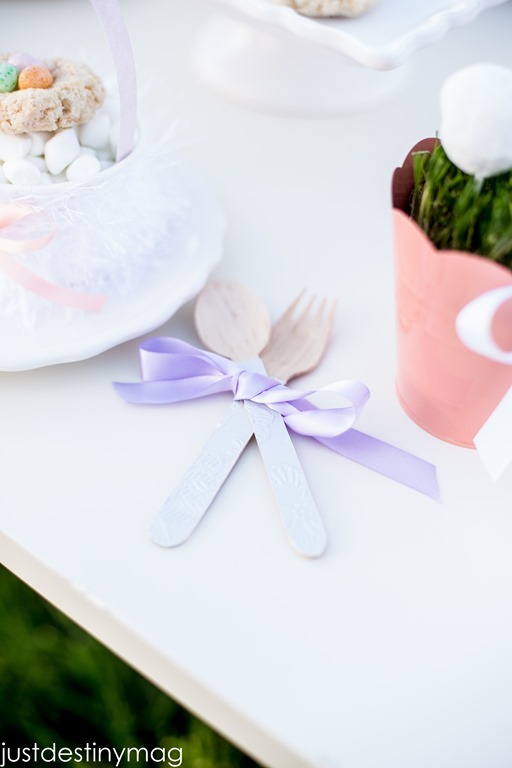 If your looking for a way to doll up your wooden party spoons then emboss them using the Evolution from Lifestyle Crafts and We R Memory Keepers. 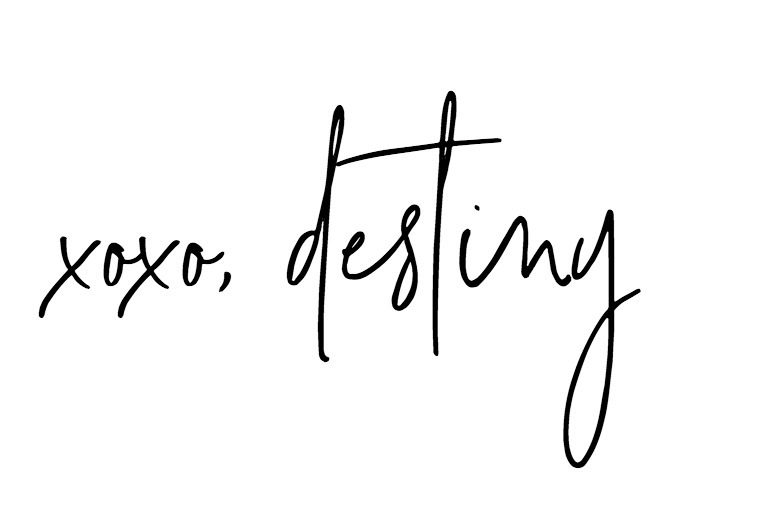 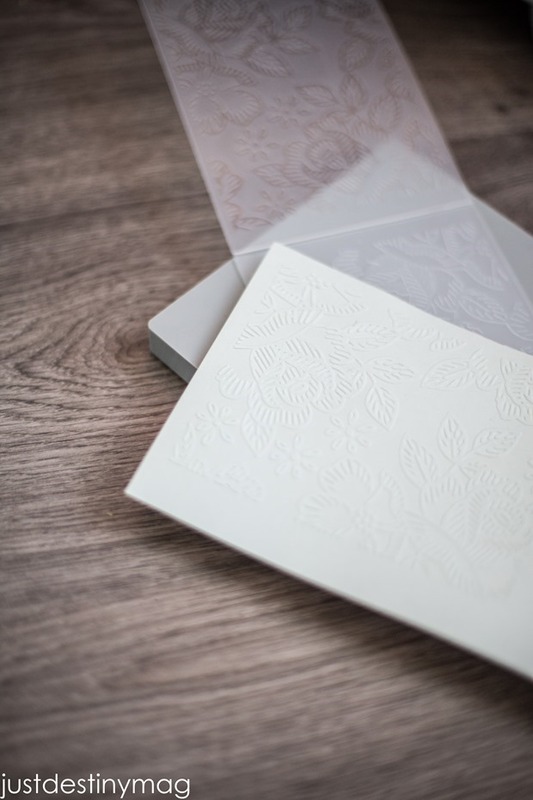 Take your floral emboss folder or any other emboss folder and your choice of cardstock. 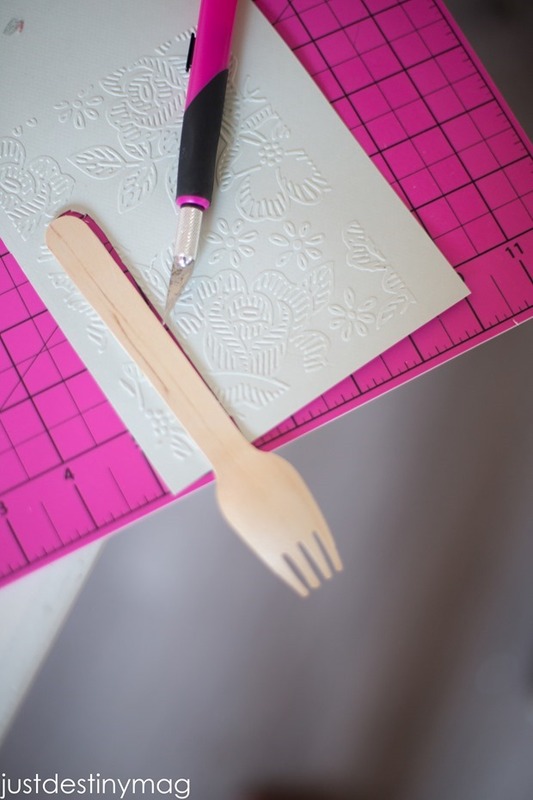 Crank it through the machine and remove it for a beautiful embossed piece of paper! After you remove the paper from the embossing folder take a small cutting tool & cutting mat and cut around the edges of the spoon handles. 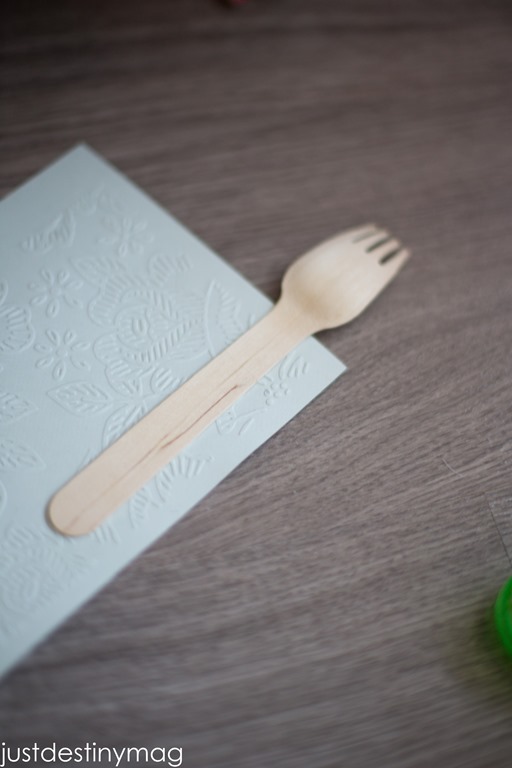 Then apply a small amount of adhesive to adhere the paper and the spoon.